I’m often asked “What’s your story?” or “How did you get into cars?”. 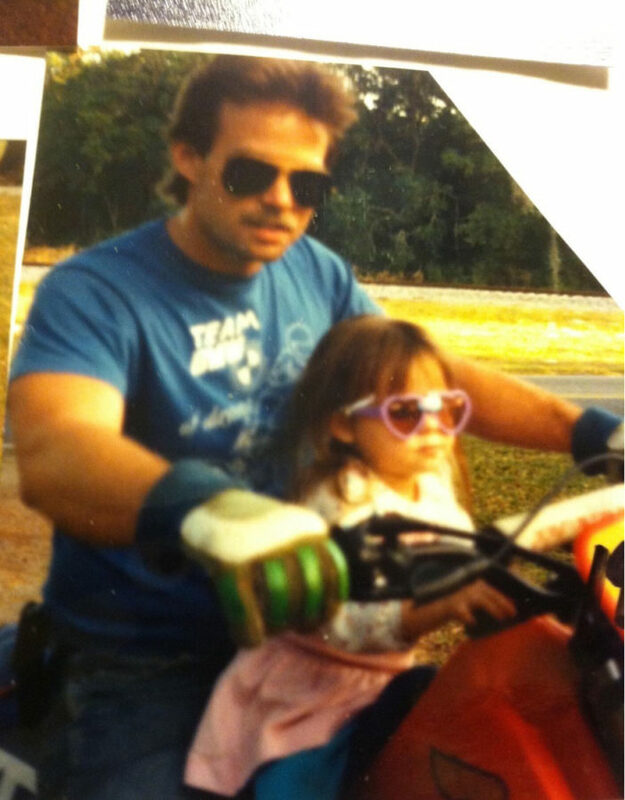 Cars, motorcycles and racing have always been a big part of my life being born and raised in Daytona Beach, Florida, not to mention my father was a local shop owner and mechanic. I spent my days lusting over pricey sports cars and flipping through automotive magazines, helping my dad with his garage projects here and there, but I didn’t really get into wrenching until later down the road, when my garage started to fill-up with a motorcycle of my own. After graduating college, it was time for a change, a BIG change – moving from Central Florida all the way to the original Motorcity, Detroit, MI. Initially I relocated to Detroit for business opportunities, but this city would prove to offer much more than I could ever expect! With many years of experience as a trained dancer, I auditioned and made the Detroit Pistons Dance Team ‘Automotion’ in 2006. Soon after my stint with the NBA, I also performed for the MISL Dance Team, began emcee work as a game show host at a local Detroit casino, managed a small talent agency, and joined the Autoshow circuit as a Narrator for Chrysler/Dodge/Jeep. My next big break was around the corner, when I won a contest and landed a gig as a traffic reporter and DJ for 101.1 WRIF FM Radio in 2008. The following year, my roots in the Motorcity continued to deepen, when I started working for the Detroit Red Wings as their game day In-Arena Hostess – this city was Hockeytown after all! Throughtout this time, my interest and passion for motorcycles continued, its still hard to believe I bought my very first bike at only 18. The move from Daytona to Michigan changed the street riding scene a lot, and it was only a matter of time before I ventured out to the race track with a two-wheeled machine, turning my first laps back in 2007. Now that I had started to gain more experience in front of a camera as a host & reporter, how amazing would it be if I could combine that with my love of motorcycles? Reaching back to my Daytona roots, I started working with AMA Pro Racing and developed online video content covering our American Motorcycle Road Racing series, featuring interviews, stories and race coverage from the series top riders in 2012. In this same paddock, I gained experience as a color commentator, producer, reporter, PA Announcer and host, kickstarting my career in motorsports. Around that same time, I was approached at an event and asked to audition for the spot as a host of a brand new show. 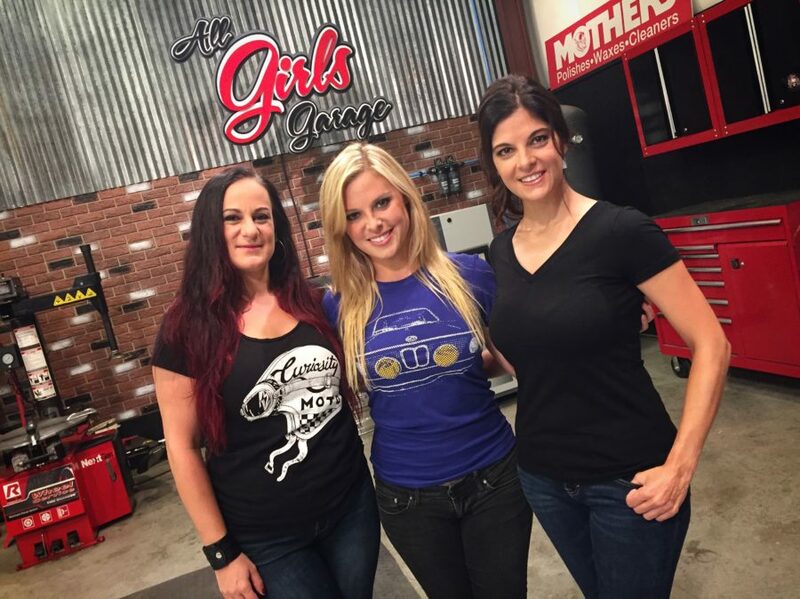 It was only a few months later in 2011 that I was cast as one of three hosts on an all-female automotive how-to show, called All Girls Garage, that would air on the Velocity Network! 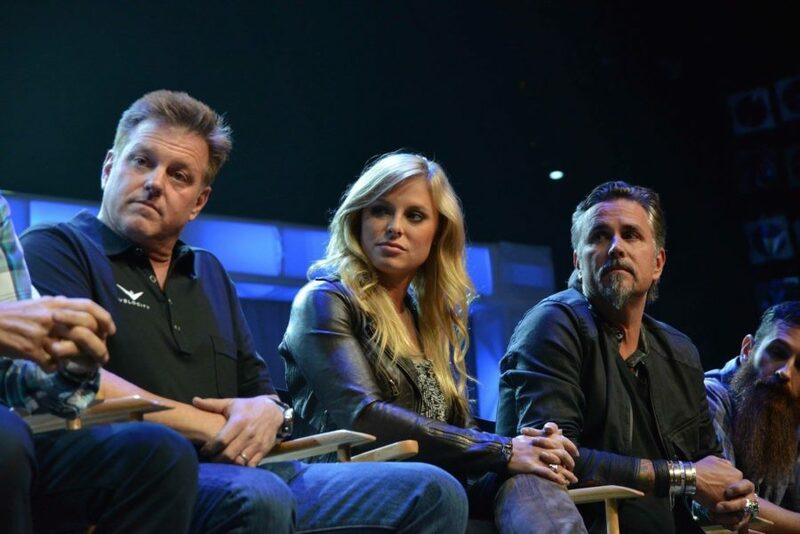 Not long after, my opportunities with Velocity and other Discovery Network properties would expand, taking on the role as a Co-Host of the Barrett-Jackson Collector Car auctions live coverage also on Velocity and Discovery Channel, and much more to come – I felt so honored to become part of the Velocity family hosting other shows, SEMA specials, and even SEMA live! Besides my success with TV’s leading automotive network, I continued to cover a variety of racing series in the world of motorsports for a variety of networks. 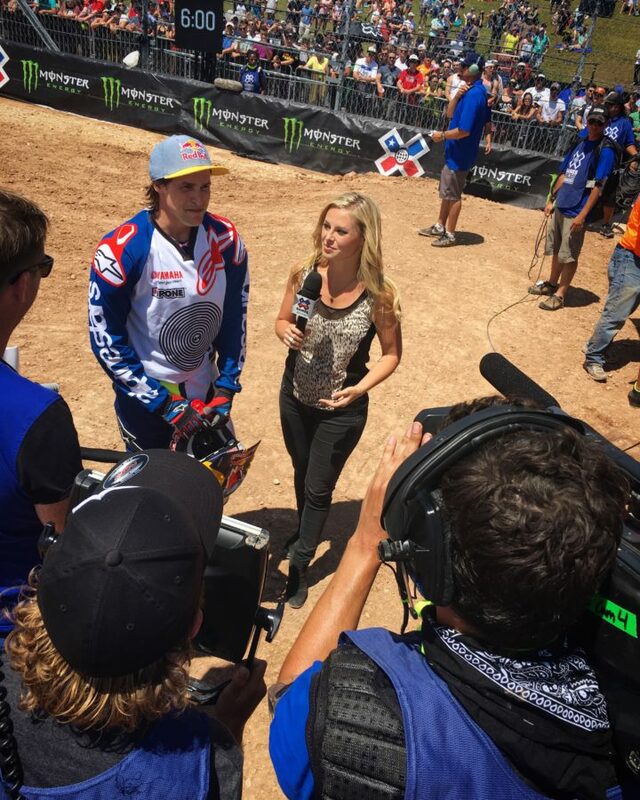 Over the years, I have been seen covering Motocross Racing for SPEED and Fox Sports 1, Off-Road Truck Racing for NBC Sports Network, Supercross, Monster Jam, Flat Track Racing, and even the XGames on ESPN and ABC. 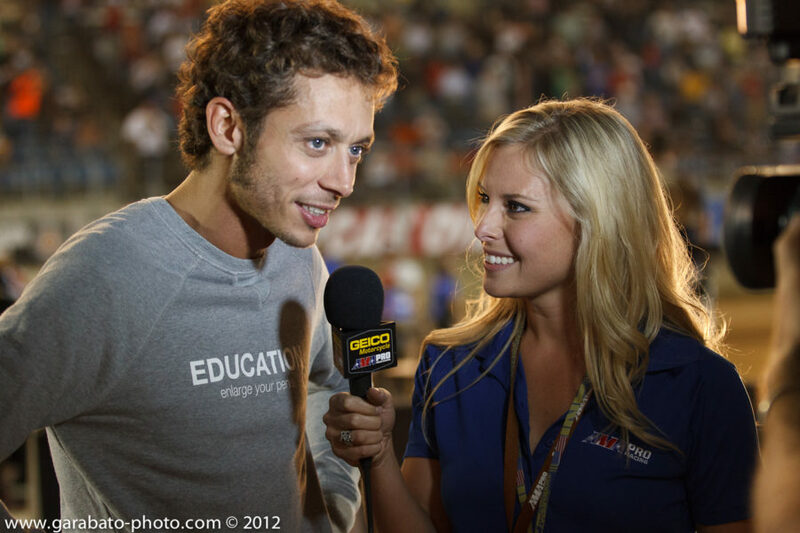 Never forgetting where I started or leaving behind my passion for motorcycles, I continued to cover motorcycle racing for AMA Pro as a pit-reporter, staying with the same series when it became MotoAmerica in 2015. 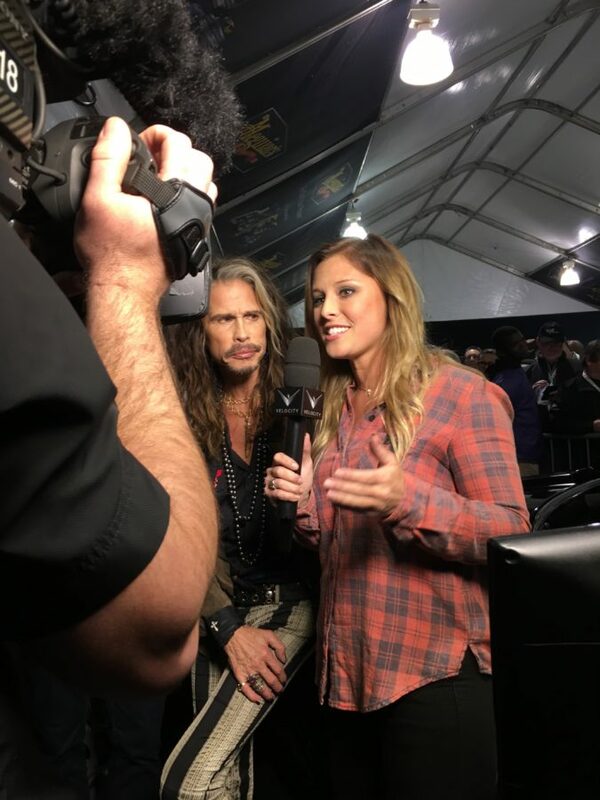 For the annugural season, I lead the TV broadcast on CBS Sports Network as the lead host, and returned to my role as pit reporter once again in 2016 covering not only MotoAmerica again, but MotoGP and WorldSuperbike for BeIN Sports Network. As a recognized figure in the automotive and motorcycles industries, I’ve had the opportunities to represent some big companies and brands within the industry as a spokesperson and brand ambassador. I’ve been lucky enough to work for companies like Kawasaki Motors, Dodge, Ford Performance, Triumph Motorcyles, Toyota, Pirelli Tires, and many more aftermarket performance companies and high performance gear manufacturers. One thing that will never change is my addiction to adrenaline, I can’t get enough! There are so many other hobbies I have besides being an avid motorcyclist on the track, street, and dirt like mountain biking, mini-moto racing, rock climbing, snow boarding, I’ve even spent time behind the wheel at racetracks, Autocross events, and performance driving schools! So what does the future hold next for me? Who can say where this journey will lead me, but what I can say now is thank you to YOU, the fans, for all of your support along the way, and especially for visiting my website! One of my favorite parts of the job is getting to meet and greet with so many awesome people from around the country and around the world at car shows, at events, and through social media – hearing about your car stories, or sharing what’s in your garage. I also have to thank my family and friends for their continued love and support over the years. Stay tuned, I’m excited to see what is next on the horizon for Cristy Lee!